"Mummy's Gone Now" Scarfolk Books, 1978. First day of Spring! Happy first day of Spring from everyone at Scarfolk Council. 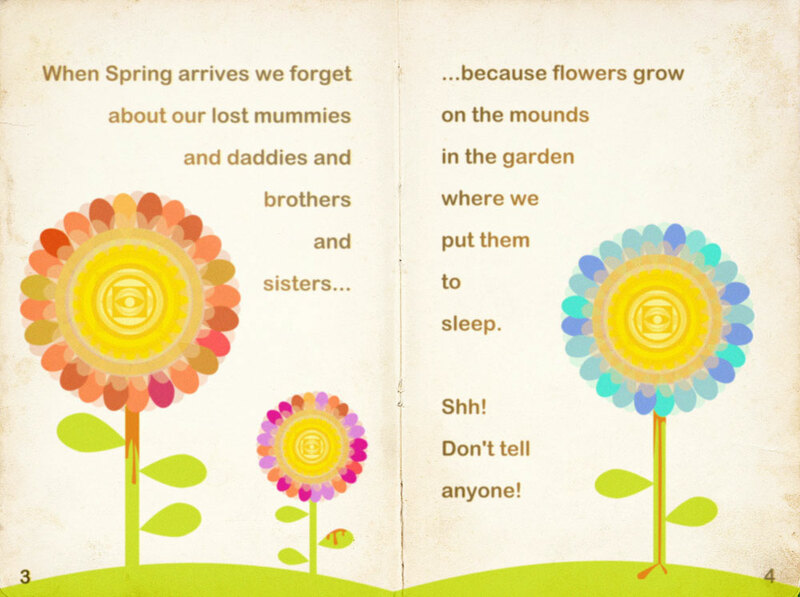 Here's a scan of a book called "Mummy's Gone Now" which advised young, orphaned children about what to do with the bodies of recently deceased family members. As most children could not afford a funeral, the book suggested burying bodies in the garden, pushing them off a bridge into a river, or donating them to a soup kitchen. The book also offered advice about how to forage for food in a suburban environment. 'Totalitarian Salads,' published in 1976, sold more copies than any other book that year and was voted Scarfolk's best book by no less than 100% of the public in a mandatory survey. The success of this publication may be partly due to the fact that all bar one of Scarfolk's bookshops and publishing companies were razed to the ground in semi-mysterious circumstances. 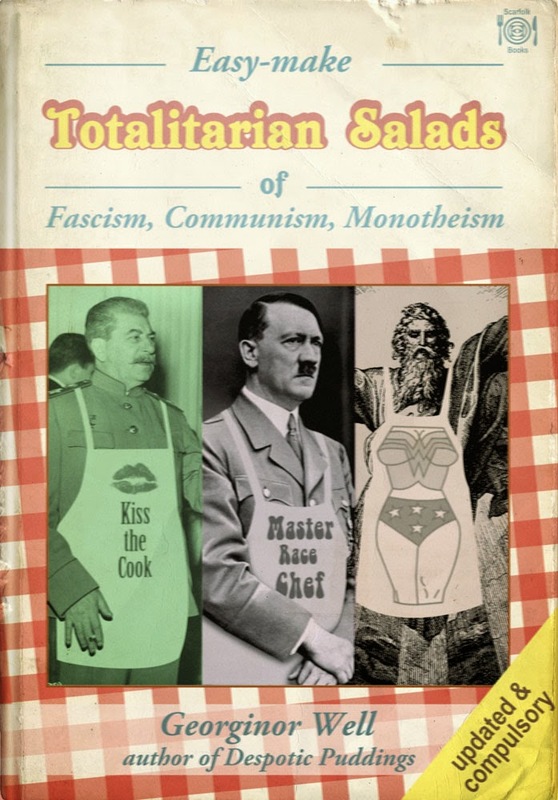 In short,'Totalitarian Salads' was the only book commercially available that year. Additionally, the authors and editors of competing cookery books were found sauteed in a mass shallow grave just outside Scarfolk. Police food forensics experts put the recovered bodies in a refrigerator overnight before transferring them to an oven for 20-25 minutes and then pouring into individual pots to be garnished with wreathes of flowers. Today is International Women's Day and the anniversary of the "Spread 'Em" campaign. The freedoms of women and people like that were always very important in Scarfolk. As you will see from this poster and magazine ad issued by the council in early 1970, women had even more social and legal rights than domesticated foreigners. 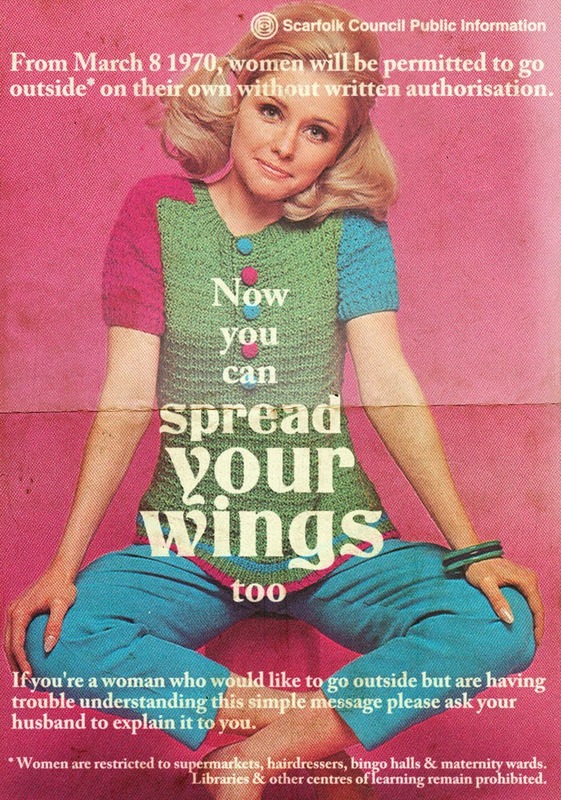 Scarfolk was one of the first places to give women the right to ask a man if they are allowed to vote. The council also fiercely lobbied to permit women's sports such as ironing, being pretty & sweet, and sobbing without cause in international competitions, including the Olympics. That the council was unsuccessful is testimony to the reactionary structures and attitudes that still hinder a woman's place in society. Poor dears.